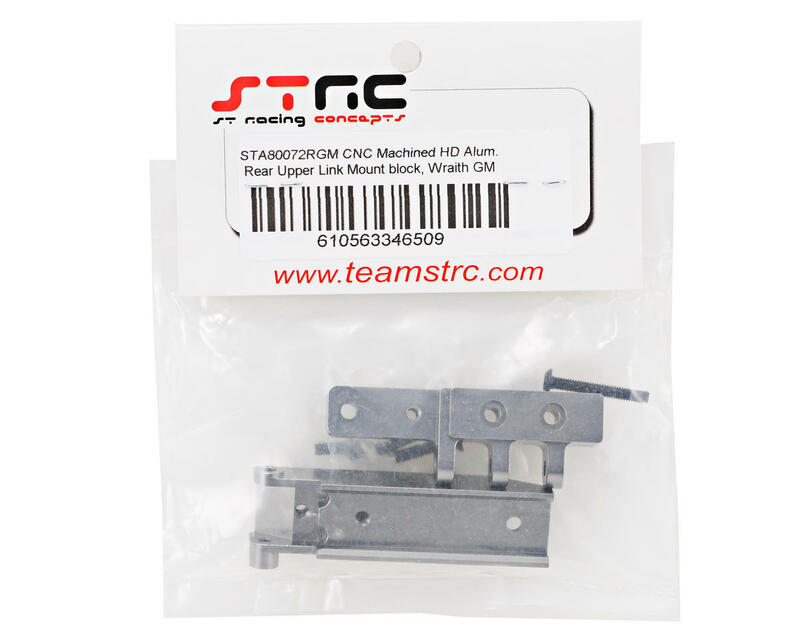 This is an optional ST Racing Concepts CNC Machined HD Aluminum Rear Upper Link Mount, and is intended for use with the Axial Wraith. 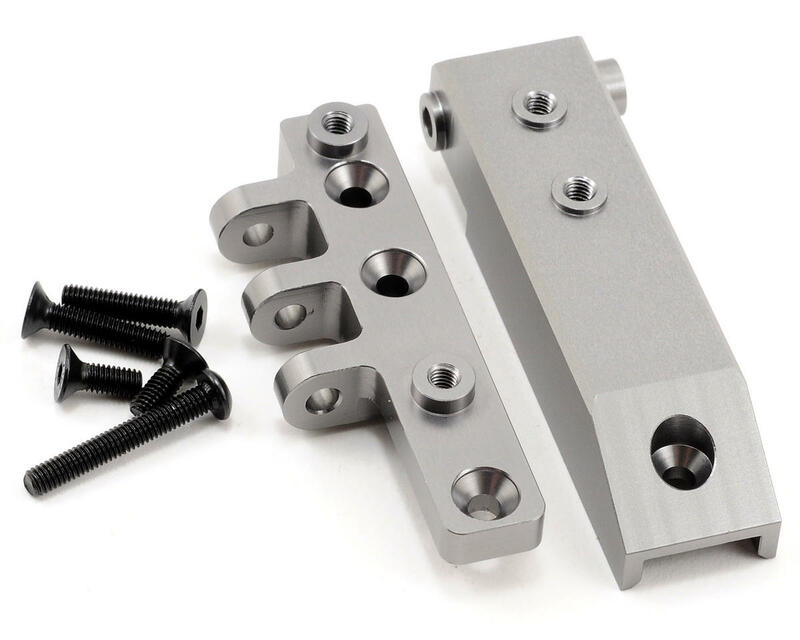 This aluminum rear upper suspension link mount block features a two piece design that replaces the stock plastic unit. The suspension links on the Wraith are put under a lot of stress and a stronger suspension link mount block will keep the links firmly in place while adding awesome looks to your Wraith.